Her Majesty’s Australian Ship (HMAS) Melbourne has arrived in the Middle East and commenced her first patrol as part of the Combined Maritime Forces (CMF), which conducts maritime security patrols across the region. HMAS Melbourne is seen during her passage to the Middle East Region replacing HMAS Newcastle for Australia’s contribution to the US-led Combined Maritime Forces (CMF). Assigned to CMF’s Combined Task Force (CTF)150, Melbourne will conduct a 5 month rotation that will see her sail over 32,000 nautical miles to ensure the maritime security for approximately 2.5 million square miles of international waters. HMAS Melbourne’s Commanding Officer, Commander Bill Waters CSC, Royal Australian Navy (RAN), said that Melbourne’s mission is to provide an enduring and commanding presence within the region, ensuring the safe and uninterrupted flow of world trade and intercepting narcotics smugglers whose drugs help fund global terrorism. This is HMAS Melbourne’s eighth deployment to the Middle East, having most recently been to the region in 2014, and is the 61st rotation by a Royal Australian Navy ship since the first Gulf War in 2001. 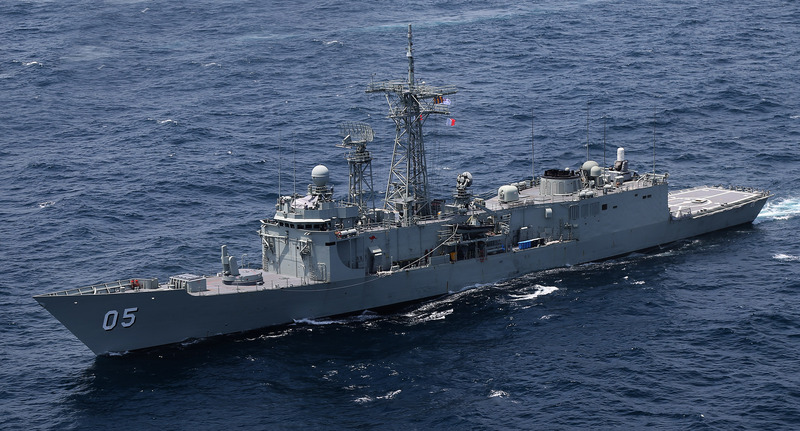 HMAS Melbourne replaces HMAS Newcastle in this the 25th year of Royal Australian Navy operations in the Middle East.